Chris Hipkins visited Upper Hutt Primary School and shared his thoughts in this video. 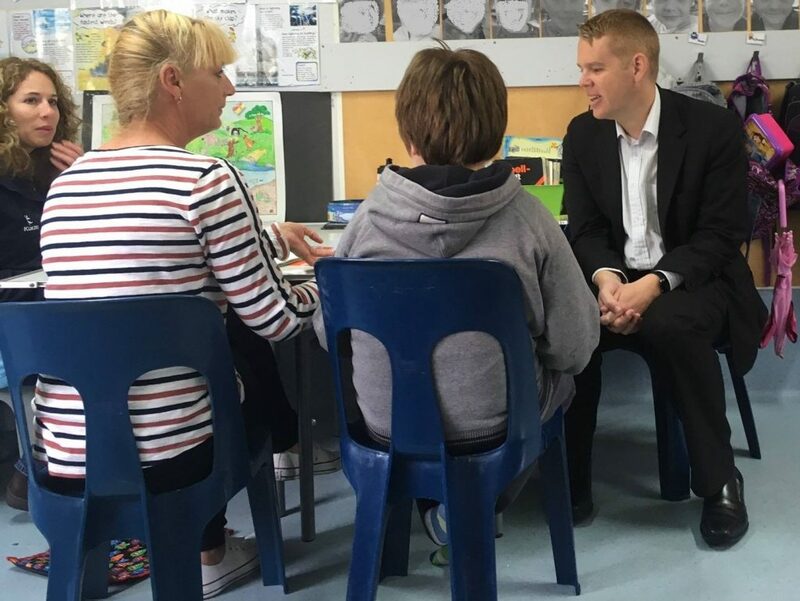 Chris Hipkins: This morning I spent a couple of hours with the support staff here at Upper Hutt Primary School, as part of an NZEI campaign to raise awareness of the working conditions for school support staff up and down the country. So NZEI have asked me to present this petition this week to the minister of education this week, which I’ll do. It’s been signed by over 47,000 New Zealanders who are asking the government to lift the freeze on school funding so that school support staff can be paid properly. It’s really important to remember that school support staff are paid out of the school operations grant, so they’re paid from the same money that pays for the rubbish to be removed, the classrooms to be cleaned, the whiteboard pens that teachers use, the photocopying — all of those things are paid out of the operations grant. So any improvement in the pay and employment conditions for school support staff puts pressure on school finances somewhere else. So the Labour Party’s made a really clear commitment that we’re going to change that, so that school staff can be properly supported. And we want to fund them centrally, through the government, in the way that we do the teachers, so they can have a proper career framework, proper professional development and support, just like teachers do. I hope that we’ll be in a position to implement that after September. I think that’s really important and I’d be encouraging people to vote for the Labour Party at the coming election on that basis. So I’m Chris Hipkins, you can reach me at Parliament and I authorise this video. A staff member, Vanessa, also shared a great story with us. “I have been Teacher Aiding for almost 5 years and been studying for almost a year and a half for my Teacher Aide Certificate – just a few more assignments to go now. I hope to continue doing Teacher Aiding but when I’m on contract for limited periods, I can only dream of a future and career in it. Not knowing or being able to plan my life is really difficult.